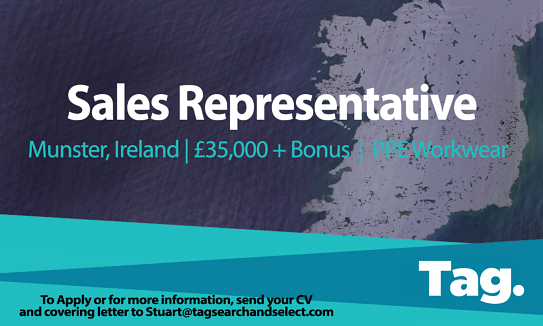 A great opportunity to join a fast-growing international company as a committed Sales Representative, working in the Workwear Sector and covering the Dublin Area. Preferably possess experience in selling to retail outlets, possibly in the area hardware related products. Based and covering the Dublin area so the candidate is expected to live here, there is also an opportunity in the Munster area.